CD Release Celebration at the Heavenly Rainbow, July 26th! Join Rev. 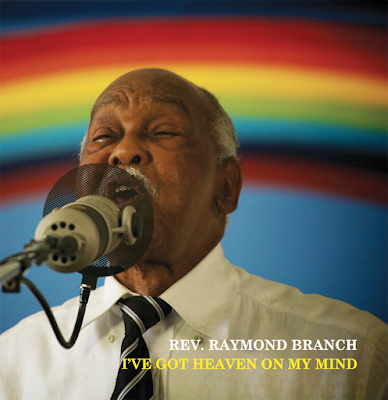 Branch at the Heavenly Rainbow on Sunday, July 26th at 3:30 pm to celebrate the release of his full-length CD, I've Got Heaven on My Mind! First copies of the CD will be available at the church on the day of the event, and out-of-towners can order CD copies here and digital downloads here. This album has been a long time in coming, and it is most definitely worth the wait. All are welcome! 2. Is It Well With Your Soul? Album recorded and mixed by Todd Burke. Produced by Wyatt Doyle and Mike McGonigal. RSVP not necessary, but appreciated. Facebook users can RSVP here.